Gah. Hippos are so cute, aren’t they? 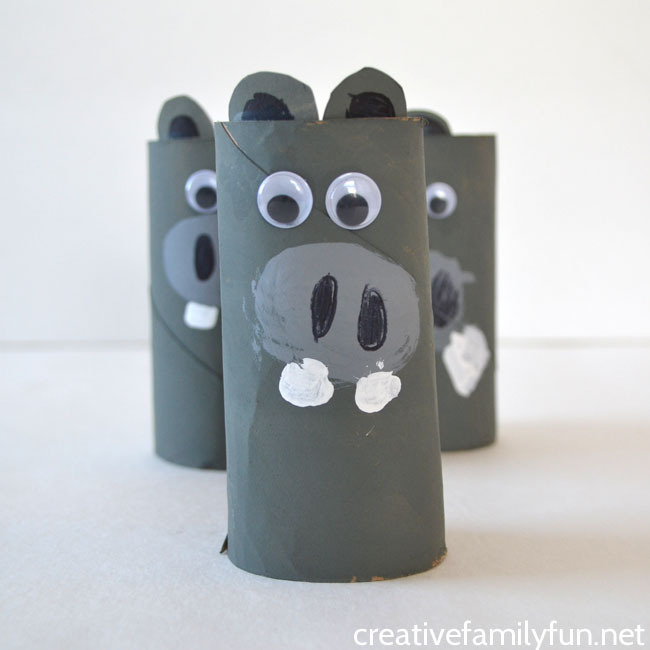 And this cardboard tube hippo craft is about as cute as it gets. Those eyes, those teeth, that nose. Yep, these are super-cute! 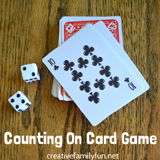 So, let’s get crafting! 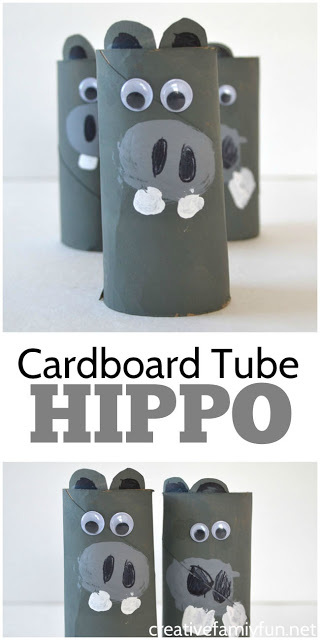 Grab some cardboard tubes and we’ll make some hippos. 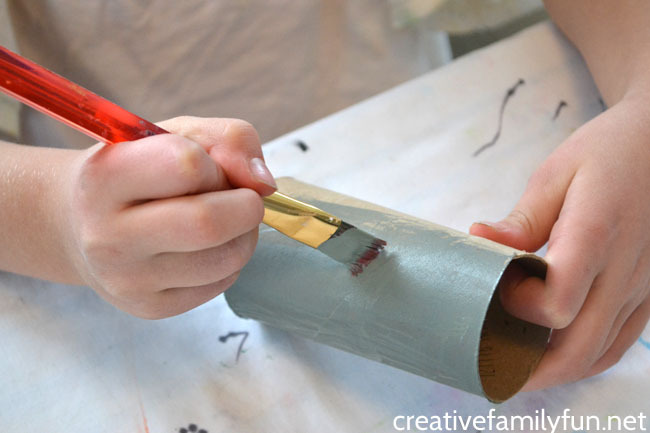 Begin by painting your cardboard tube with the darker grey paint. Also, paint your smaller piece of cardboard with the same paint. 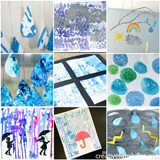 Let each piece dry before you move on to the next step. Cut two circles from your thin piece of cardboard for your ears. Use your black marker to color in the center of each circle. Only the top half of your ear will be showing on your hippo, so make sure you can also see the black in the middle. 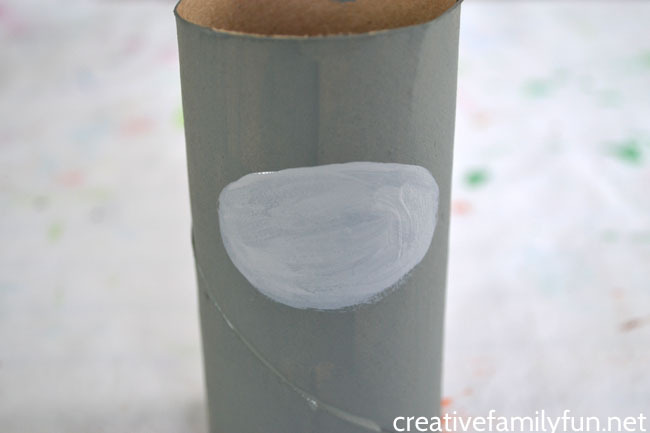 Next, use the lighter color of grey to paint an oval in the top half of your cardboard tube. This is going to be the hippo’s snout. Use your white paint to make two square teeth at the bottom of your snout. 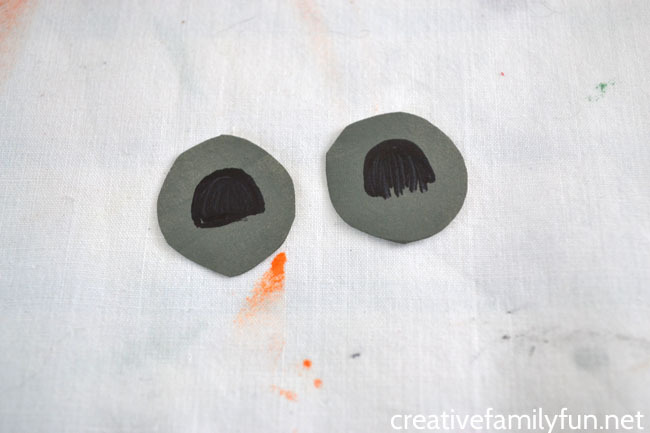 Once the paint on your snout is dry, draw two long ovals with your black marker for your hippo’s nostrils. Glue your eyes above the snout and glue your ears directly above your eyes. You’ll want to glue the ears to the inside of your tube so they peek up from the top. 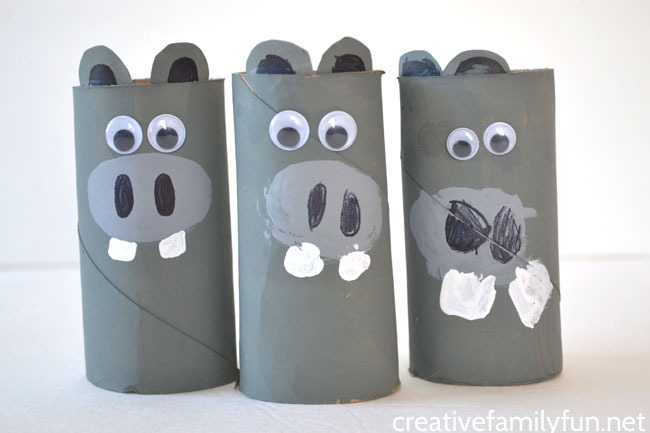 Add your hippo to your cardboard tube zoo or make a whole bloat of hippos for pretend play. (A group of hippos is called a bloat. Did you know that? I didn’t!) No matter what, just have fun playing with your super-cute hippos! 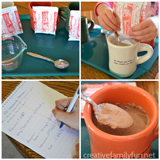 If you enjoyed this hippo craft, the photo above is perfect for sharing on Facebook or you can share the photo below on Pinterest. 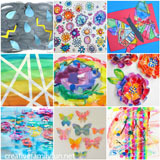 Thank you for the cute craft inspiration and have a great weekend!